In that sense, Lisk is similar with the Ethereum blockchain. However, the Lisk platform hasn’t been built to create smart contracts, but to develop diverse apps and functionalities using the LISK AppSDK framework. With the aim of making blockchain development easily accessible, Lisk was forked from Crypti by Max Kordex and Oliver Beddows in May 2016. With the Lisk App SDK, developers can develop backend applications as well as front end. Then can also build functionalities for their apps and the user interfaces with the Lisk App SDK. This allows developers create blockchain applications conveniently in a downloadable package. The front end of these applications is accessed in a decentralized way, which is a unique feature in the blockchain industry as at present. The mainchain provides security and stability. Also, the sidechains allow for unlimited flexibility. Lisk gives developers a place to create a blockchain network of their own, that’s under their full control. Developers are also able to create their network in the form of a sidechain without putting too much efforts and time to build a blockchain entirely from the ground up. Lisk makes that much faster. The possibilities of using the Software Development Kit are limitless. It will be possible to develop decentralized social networks, games, messengers, and all other platform independent applications. The good part is the developer will have no hassle of following peer-to-peer network protocols or developing consensus algorithms. How To Get Started With Lisk? To make use of Lisk to full capabilities, you begin by creating an account and downloading the Lisk wallet, then launch the application. After these, you will acquire some LSK tokens, which can be bought on various cryptocurrency exchanges. Tokens are necessary for every action completed on the Lisk platform, so acquiring LSK isn’t an option. Now you can customize the features on your account however you like it, including the options to add a second passphrase for added security. Now you are ready to explore the tools in the Lisk Blockchain Explorer. For the most important news from the Lisk Community you should check LiskMagazine. Decentralized applications/Blockchain applications are what they are called. Applications that run on multiple servers, providing hiding security and uptime, and also presenting a whole new business model. One of the powerful features of Lisk is its ability to deploy, manage and distribute decentralized apps all in one place with the seamless user experience. Decentralized apps include packages of front and back-ends. A smart contract, on the other hand, is just a backend process. In other words, developing a decentralized application on smart contracts means you have to rely on third-party systems for the front-end. The Lisk team makes it easy and fun for newbies and professionals to quickly understand the Lisk platform with clear documentation on how to send and receive LSK, download applications and so on without being technical geeks. The Lisk Nano is the official wallet for LSK tokens. It allows users receive and send transactions on the Lisk Network. It also provides a simple UI for more advanced features like the delegate voting or registering a second passphrase. With the Lisk Nano, blockchain synchronization isn’t required as the wallet connects with the official Lisk node hosted by Lisk foundation. Lisk has been listed on some exchanges. These have presented a lot of options for investors to purchase the Lisk (LSK) tokens. LSK can be purchased using fiat and also can be exchanged with other cryptocurrencies. Cryptocurrency exchanges that list the LSK tokens include Binance, YoBit, CoinEgg, Upbit, Bit-Z, Bittrex, BitBay, Poloniex, Huobi, HitBTC, Livecoin, ChaoEX, Exrates, Coinroom, Gate.io, and LiteBit.eu. You can also exchange/purchase Lisk with cryptocurrencies and fiat through the Changelly platform. Some people are working effortlessly to making sure this project is a success, but here are two notable people you should know. Kordek is an entrepreneur who’s interested in disruptive technologies. Having extensive experience in blockchain technology and seeing lots of potentials of blockchain applications, he co-founded Lisk. Beddows is a full stack developer with more than 15 years working experience in building enterprise applications. He co-founded Lisk with the view to inspire and enable developers build decentralized applications of their dreams. As the Lisk’s focus on decentralization, the Lisk Foundation works with contractors world over from locations such as New York, Berlin, and Zug. The core team is based in Berlin. Lisk is a valuable tool for developers in search of easy ways to build decentralized platforms. With the Lisk SDK kit, developers time is reduced, allowing them to focus on perfecting their applications instead of being concerned about details of the main blockchain. 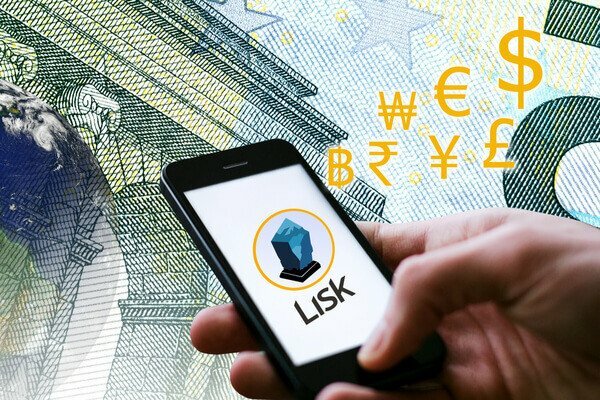 The Lisk (LSK) is also an excellent cryptocurrency to hold as people are rewarded by the delegate system of holding some LSK tokens in their wallets.